Why should I bring my jewelry in for you to buy? Not only are gold jewelry and silver jewelry prices at a high, but all precious metals, gems, watches, and just jewelry in general are appreciating on the market. This means more money for you! Say you have a necklace, ring, or even a gold tooth and you need cash. Come to us! Sell Jewelry Mesa! Our friendly staff will treat you right and appraise your jewelry for its highest value. It is accurately tested and weighed right in front of you. We are determined to pay you the most for your gold and diamond jewelry so you never go anywhere else except the top jewelry buyer Mesa has to offer. No credit checks, no nonsense, just cash in minutes! Why you should also bring your jewelry down is because we pay the most cash in Mesa, by a long shot. We use unique methods of appraising gold and silver which includes the actual weight, and the number we use to pay per weight changes daily according to what the price in the global market actually is. At most pawn shops what you’ll encounter is them using fixed rates, sometimes for months, that don’t reflect the actual value of what your gold is. Here at B & B Pawn and Gold, we do not. What type of jewelry are you buying? Our pawn shop in Mesa will buy ANY type of jewelry. This includes gold chains, diamond rings, all kinds of watches (working or not), broken or damaged jewelry, estate jewelry, engagement rings, diamond jewelry, brooches, pendants, cuff links, and earrings. No matter what condition the jewelry is in, we will buy it! This means that even broken jewelry is good for cash. Is your necklace broken, did you lose an earring? Sell it to us! We won’t undervalue your jewelry even if it’s broken — you’ll get the same fast cash you’d expect. Why should you come to B and B Pawn And Gold? B and B Pawn and Gold and its affiliated companies have been in business over 20 years buying and selling all types of jewelry. We have the knowledge, experience, and cash to make you want to come back and see us, therefore, you can be sure you are getting the most money for your jewelry. Sell your jewelry in Mesa today! Why Sell Your Gold in Mesa – This page describes the process of you selling gold to us and why we’re the best pawn shop to sell gold to! 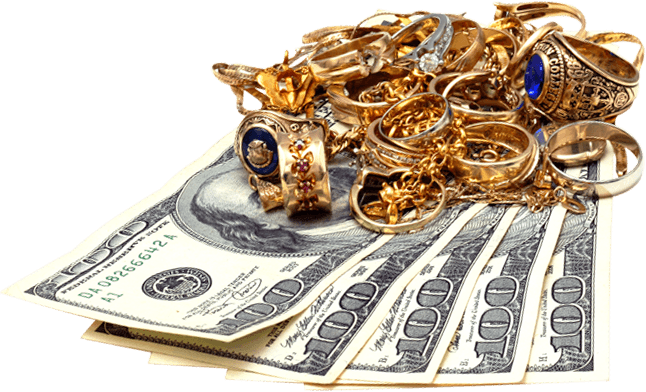 Cash For Gold – Here we describe how our Cash for Gold process works! Coin Buyer – This page talks about our method for being the BEST coin buyer in Tempe. Estate Jewelry Buyer – If you’re not sure what estate jewelry is, please visit this page! Estate jewelry is often VERY valuable and sought-after!